Earlier this year Facebook introduced the “Watch Party” featured that allowed users to watch videos together online in Groups. As of now, the same feature has been escalated to every Facebook page and profile around the world. According to a blog post published by the company, more than 12 million “Watch Parties” have taken place in Groups since the launch in January. The same has also encouraged participation and comments in Groups by eight times. "Today we're launching Watch Party to all Pages and people on Facebook, the next milestone in our journey to build social, interactive experiences around video on Facebook. ", wrote Matt Labunka and Eric Price, Product Managers at Facebook in a post. Adding further, "Watch Party enables people, creators, and publishers to watch, discuss and react to playlists of videos together in real time, in a shared space." The Watch Party is also being revamped with several new features including threaded comments so users can have a conversation in real time and live commenting that allows the hosts to comment along with the video. The Watch Parties can also be booked ahead of time. "We've been rolling out the ability for people to host Watch Parties of their own, and today this capability is available globally. 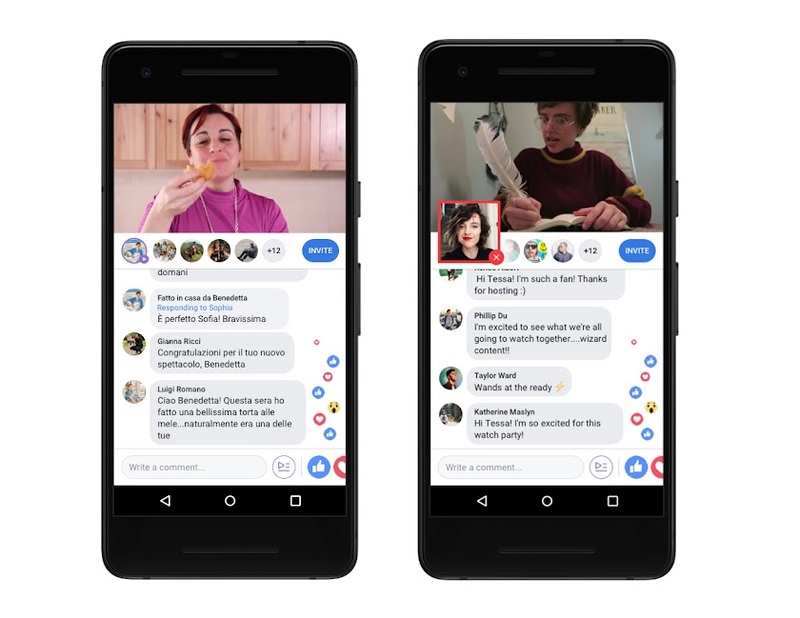 Now all people around the world can start Watch Parties with friends directly from a video they're enjoying or from their Timeline — giving people more ways to interact with friends around video from their favorite publishers on Facebook. ", Announced Facebook on its media blog. Facebook came up with the idea of Watch Party after it saw that live videos enhanced the interaction amongst the users. The VP of the product also acknowledged the fact that live viewing events encouraged more positive interactions when compared to the pre-recorded ones.